I am such a big fan of jigsaw puzzles. The more challenging it is, the more attractive for me. 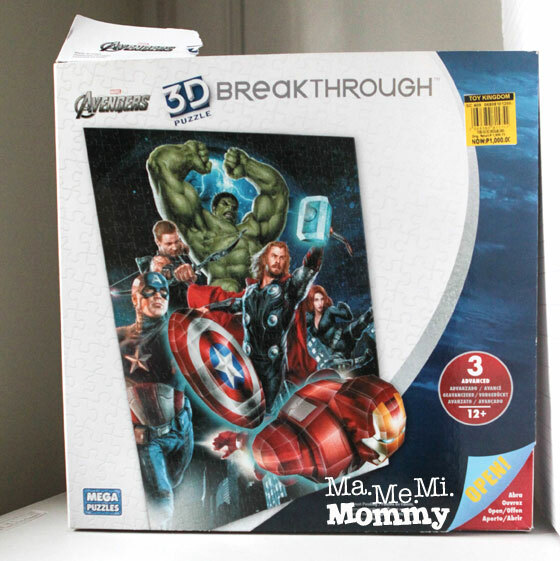 I’ve been wanting to get this Avengers 3D Breakthrough Puzzle ever since I first saw it at the toy store. This design is not only ideal for the boys but is also perfect for me as it is a level 3/advanced level. It would also be a great addition to our Captain America 3D deco light. 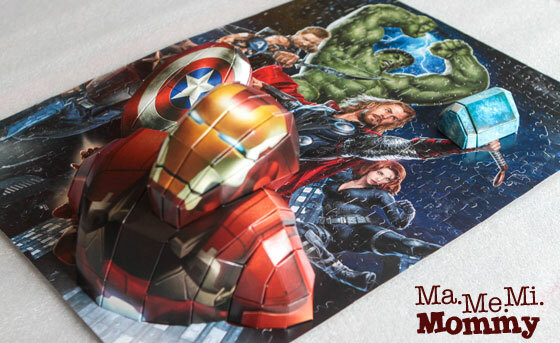 The regular jigsaw puzzle is a simple 300-pc puzzle that you can complete in just a few hours. Whew! I’m so glad that there wasn’t any piece missing even when there were 4 boys playing in the room while I was doing this! 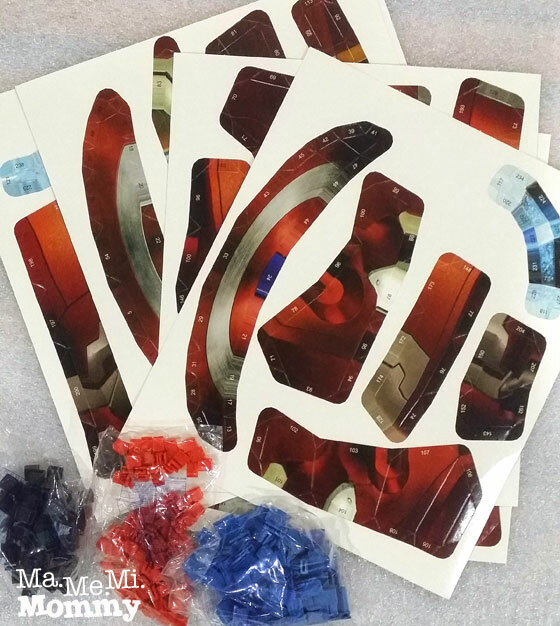 The 3D parts, Thor’s hammer, Captain America’s shield, and Iron Man are left blank. 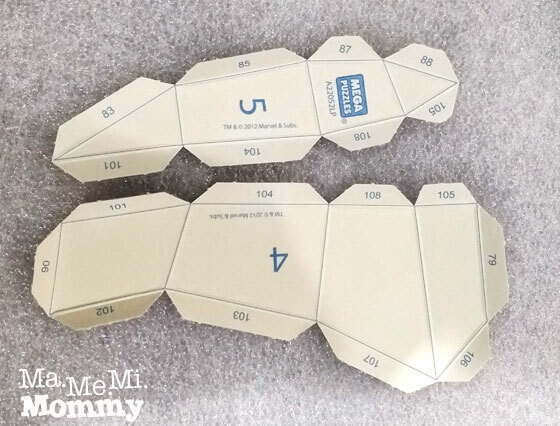 Apart from the regular jigsaw puzzles, there are also these cardboards sheets and clips inside the box. I had to pop out all the parts from the cardboard sheets. I then folded them according to the guide lines at the back. This is an example of a single part. On the front and back of each part are numbers. These numbers are the guides in piecing together the 3D puzzle. 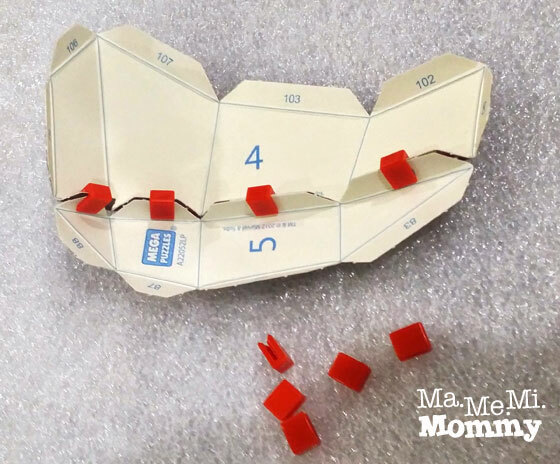 Simply clip together the sides with the same numbers using the clip provided. Here’s the entire Iron Man after I clipped the parts together. 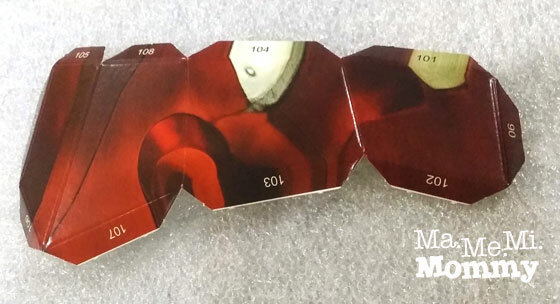 The lower photo shows the inside of it, complete with all the red and blue clips holding the pieces together. There were more than enough clips provided. I still have a couple of extras. 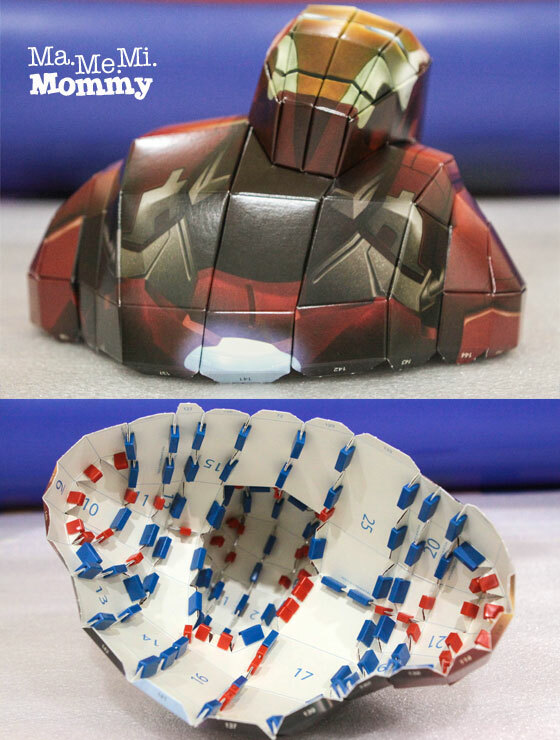 Here are the completed 3D Iron Man, Captain America’s Shield, and Thor’s Hammer. They look so real, don’t they? After seeing the completed 3D parts, I got excited to connect it with the whole thing already. Before I could do that however, I had to glue the puzzle pieces together first. Aww..bummer! 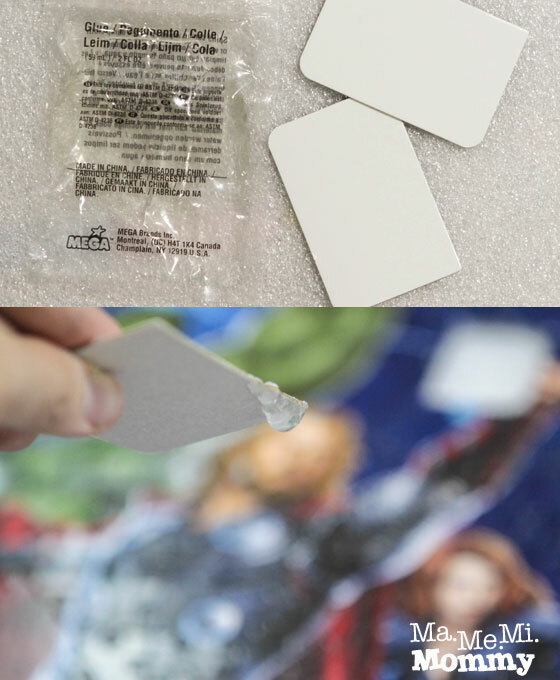 I used the glue and applicator included and applied it to the front and back side of the jigsaw puzzle. Once it dried, I was able to hold the entire puzzle up with one hand without any piece falling off. Whew! Time to clip the 3D parts to the flat puzzle. It was easier than I expected. Ta-da!!!! Here it is after. Wow, I’ve never done a 3D puzzle before. My hubby and kids are gonna love this. We’ll try to find some soon! 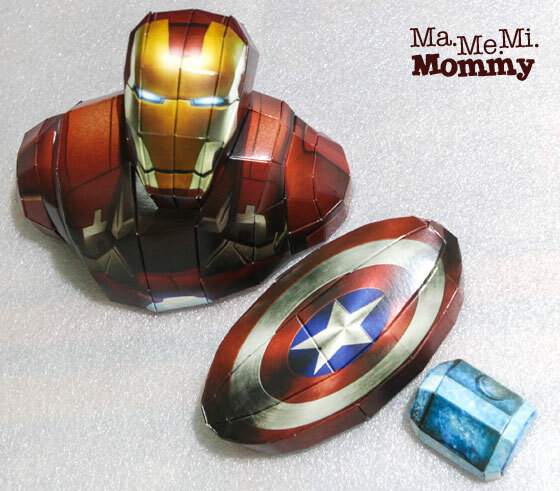 Perfect gift for my son who loves Iron Man (or Avengers)!! But, sana lang I have patience to do this!!! Will look around mamaya. 🙂 Exciting! Happy New Year to you and yours! Galing! You just gave me the perfect gift idea for my husband. 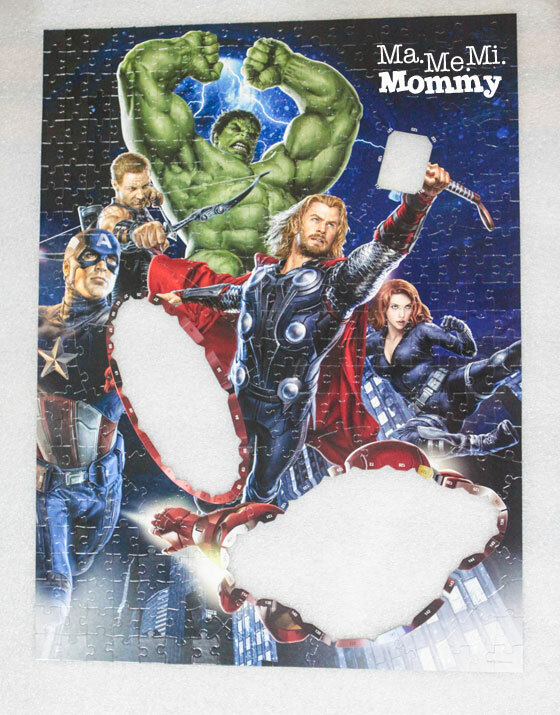 I couldn’t figure out what to give him for Christmas–he’ll be super thrilled when he sees this 3D puzzle! I love this and that 3d effect! The partner and I love puzzles. I used to have a 3d puzzle of the Eiffel Tower – it was about 3 feet tall! I’m also getting those 1000-piece puzzles so we could bond over it. 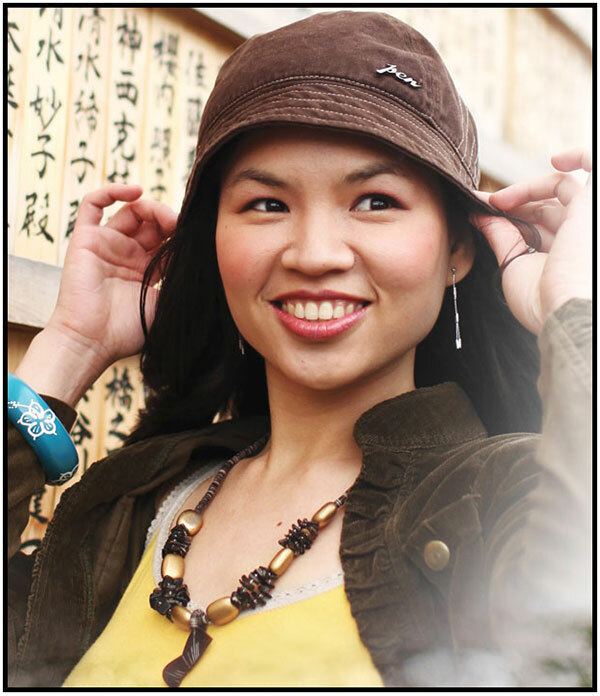 Pam / Hey, Miss Adventures! recently posted…Holiday Gift Guide: Great Gifts to Give to Kids All Year-Round! Ang tyaga mo naman, Mommy Che! 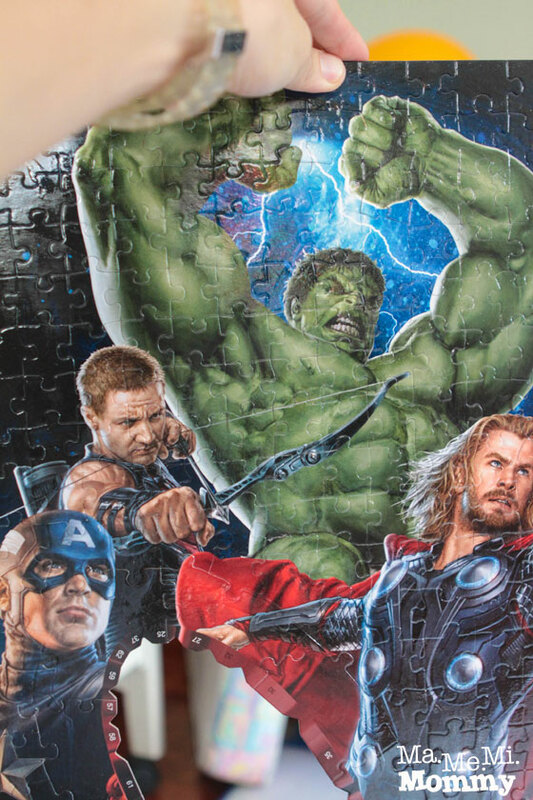 That 3D puzzle really is worth a place on your wall. I haven’t tried working on a 3D puzzle before, but it sure looks exciting, based on your experience. And the end-product was beautiful! 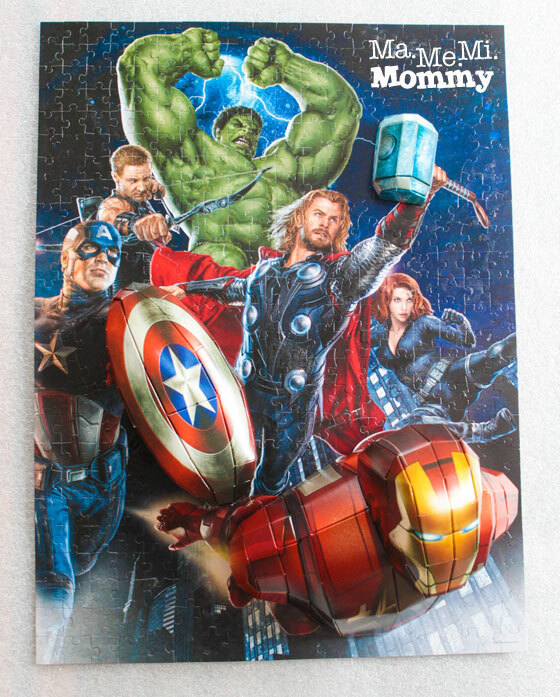 That puzzle is so cool! First time to see one like that!